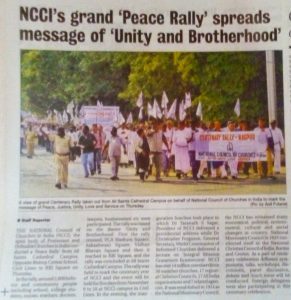 The NCCI Centenary Rally started from the All Saints Cathedral, Sadar, halted at Samvidhan Square (near K. P. Ground, Opp. RBI) for Bishop Dr. Taranath Sagar’s (President of NCCI) public address, and continued back to All Saints Cathedral in a circular route. More than 3000 people from all denominations joined the Rally. 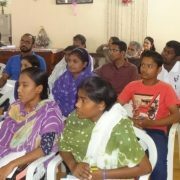 In the field of Social development, the Church in India has demonstrated the compassion of Christ to the Indian Society. Specific attention to the development of the poor and downtrodden was given due importance. 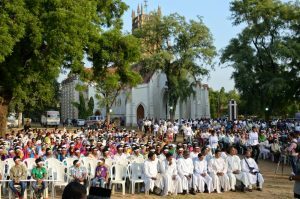 In the tribal belt the liberation of the tribals from money-lender and landlords served as the first contribution of the Church. Bishop Dr. Taranath Sagar President of National Council of Churches in India at the Samvidhan Square, addressed the gathering with the basic gospel virtue of Love, of loving your neighbour as yourself. He also urged people to continue to maintain the peace and harmony, for peace is another virtue of the Holy Spirit. He also said, Christians who are a minority in India, have contributed enormously in terms of Nation-Building. In spite of a long history of Christianity, Christians form today only 3.5% of the total population. In spite of this significantly tiny minority character, the Church in India made praiseworthy contributions towards Nation-building. Christians have been active in the fields of Education, Health care, Social development, charity and the secular polity of the country. In the Education sector, what is impressive is that 70% of all schools are in rural areas, serving the poor, especially the dalits, the adivasis and other disadvantaged groups. Only a meager 15% of the Church institutions are in the cities and large towns. He also reminded that the Church gave a major importance to the education of women and takes pride in the empowerment of women. This has led to the enlightenment of Indian women belonging to all religions, castes, tribes and different religions in modern India. The historical contribution and breakthrough of the achievement of the Church in the field of education lies in the fact that it broke the monopoly of a single privileged caste and decentralized and democratised education. Education has made it possible for dalits and tribals not only to benefit by it but to have social mobility in life. In the sector of Relief, the Church has shifted from relief and charity to Institutional model of empowering and wholesome educational and health institutions. Focus on empowerment and self-reliance of the poor to remake their future by a cooperation and collective action for social transformation had been the plan. Remembering Dr. Babasaheb Ambedkar, the architect of the Indian Constitution, Bishop Dr. Sagar remarked about the Christian community’s significant contribution to “secularism” in India. For nation building, the secular character and ethos of our polity is essential to shape and forge harmony and peace for all people of the country. The Church remains committed to secularity of the Constitution of the Republic. Secular character of the Republic is a positive force for peace and communal harmony in a pluri-cultural and multi-religious society that India is. A good number of priests serve such social institutions and social service societies across India. Practically all of them are professional qualified and give a very substantial contribution in the building up of the nation. The church is like a leaven working in the Indian society. It does not seek publicity as she follows the biblical principle of ‘left hand not knowing what the right hand does’. 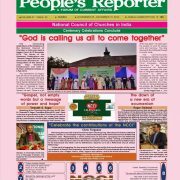 In the evening, during the NCCI Centenary Finale Worship Service at the All Saints Cathedral, dignitaries from Christian Conference of Asia, Hong Kong Christian Council, National Council of Churches in Nepal, Lutheran World Federation, World Council of Churches and other partner ecumenical organisations brought Greetings to the National Council of Churches in India. Dr. Chris Ferguson from the World Communion of Reformed Churches, in his message to the gathering, said that “To be Ecumenical is to be Reformed”. To bring our own Transformation is to bring Transformation in the world. He also said, NCCI Centenary Finale is just the beginning of the NCCI Centenary Theme “Integral Mission and Grassroots Ecumenism” for a future vision. He exhorted the NCCI to march ahead to struggle for Economic justice, especially for the Dalits, Tribals and other disadvantaged groups in India. Greetings were received from dignitaries representing other Ecumenical bodies: Rev. 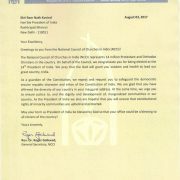 Dr. Peniel Rufus Rajkumar (World Council of Churches), Rev. 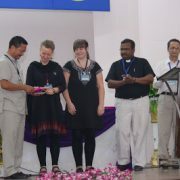 Dr. Augustine Jeyakumar (Lutheran World Federation), and Rev. 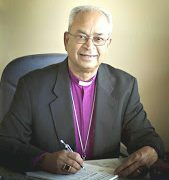 Dr. K. B. Rokaya (Christian Conference of Asia). Also, during the programme, NCCI’s Commission Programme on Indian Disability Ecumenical Accompaniment (IDEA) and ‘National Ecumenical Forum for Sexual Minorities’ (NEFSM) were inaugurated and citations given by Bishop Dr. Taranath Sagar. 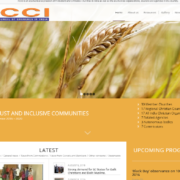 He also released the NCCI 2015 Calendar. The 3-day celebrations will continue in the form of Symposiums, Workshops, Missional Conversations, will deliberate upon the various burning issues of Church and Society. The programme is scheduled to be held on 7th and 8th at NCCI Campus, Civil Lines, Nagpur. ACT Alliance elects new moderator, approves new strategic plan DISABILITY ADVOCACY SUNDAY – 2014.